ACS 200 is the world's leading colloidal silver Gel 8oz (240 ml). 200ppm of silver in ultra pure water combined with the power of ACG Glutathione. Multiple studies prove that ACS 200 is 1,000's of times more powerful than other leading silver formulations. N.B. Due to EU regulations that came into force in 2010, colloidal silver can no longer be sold for internal use. The ACS 200 is sold for external disinfection and water sanitisation. The information and results below are only to confirm the ACS 200's effectiveness for these uses and in no way implies that it can be used to treat any pathogens within the human organism. There are many myths and arguments about who makes the best colloidal silver on the market. You will hear talk of particle size, particle distribution, Ionic vs particulate. The truth is only one factor really matters - how well the silver kills pathogens. ACS 200 Extra Strength (tested by AOAC) provides a>6.64 log reduction/99.999984% complete kill in less than 3 minutes. ASAP silver provides a>4.98 log reduction/99.9989% complete kill in 60 minutes. ACS 200 Extra Strength achieves complete kill (without a single organism left alive) against 2,170,000,000 MRSA organisms in less than 3 minutes. ACS 200 Extra Strength achieves a significant 20 times faster kill than ASAP silver against Methicillin‐resistant Staphylococcus aureus evidencing a 3 minute/99.999984% >6.64 log reduction versus a 60 minute/99.9989% >4.98 log reduction while killing 1,142 times a greater number of MRSA organisms. ACS 200 Extra Strength achieves ­­a significant 100 times faster kill than MesoSilver against Methicillin‐resistant Staphylococcus aureus evidencing a 3 minute/99.999984% >6.64 log reduction versus a 300 minute kill time while killing a 1,808 times greater number of MRSA organisms. ACS 200 Extra Strength provides a>5.95 log reduction/99.99989% kill in 2 minutes. ASAP silver provides a >4.83 log reduction/99.9985% kill in 60 minutes. ACS 200 Extra Strength achieves complete kill (without a single organism left alive) against 445,000,000 Candida organisms in less than 3 minutes. ACS 200 Extra Strength achieves a significant 30 times faster kill than ASAP silver against Candida albicans while killing 342 times a greater number of Candida organisms. ACS 200 Extra Strength achieves ­­a significant 720 times faster kill than MesoSilver against Candida albicans while killing a 37,083 times greater number of Candida organisms. Due to the obvious and desperate need for an effective anti-Borrelia agent and that Advanced Cellular Silver (ACS) 200 by Results RNA in previous studies has been proven to be a safe and effective antibacterial, antiviral and antifungal agent, the following independent studies were conducted. Independent studies generated the following kill-time data using ACS 200 against Borrelia burgdorferi, the etiological agent of Lyme disease. The kill time studies used the loss of motility of the spirochetes as the kill criteria as observed via dark field microscopy. It is important to know that the Borrelia burgdorferi kill-time protocol used for this test was originated by Dr. William Burgdorfer. Mean number of motile organisms: 130/field. The estimated volume of 1 field is approximately 3.4 x 106 ml. Therefore, the starting concentration of the Borrelia burgdorferi culture was approximately 3.8 x 107 (380,000,000) organisms/ml. • ACS 200 Extra Strength is the most powerful silver formulation today with over 500 University and Laboratory studies documenting efficacy. Why is ACS 200 extra strength so effective? ACS 200 Extra Strength achieves a much greater kill power than other silver brands for many reasons. A much higher concentration of silver ions: A huge difference between ACS 200 Extra Strength and other silvers is the increased amount of silver ions in it. It is the silver ions which attach to pathogens and thus kill them. It is the silver ions that provide healing benefit to living, mammalian cells. Simply stated, ACS 200 Extra Strength contains far more silver ions than competing brands. ACS 200 is the only silver with long-lasting silver ion production: Other silver products provide a limited number of silver ions, these are highly unstable and have a very short lifespan on the body. ACS 200 Extra Strength is the only silver formula designed to continuously emit vast quantities of new silver ions for long periods of time. As silver ions are depleted in the natural process of destroying microbes, more silver ions are being produced enabling rapid, continuous and complete kill of pathogens. The delivery medium of every Results RNA® spray formula is a highly absorbable aqueous media. To achieve this important benefit water is glass distilled and measured at nineteen megohms pure. A proprietary structuring process is then employed. This unique process does not alter the empirical chemistry of the water, but it does change some of its physical characteristics. In structured water, increased ultraviolet absorption can be detected attributable to increased hydrogen bonding. Theoretically, the bond angle of the hydrogen atoms changes from 104.5 degrees to 109 degrees. Also, the hydration shell around each ion is increased. Both the surface tension and contact angle are reduced. Essentially the water is wetter. The surface tension on Results RNA® Intra-oral Sprays is measured at 53 dynes/cm, increasing mucosal absorption and systemic propagation. Conclusion: ACS 200 Extra Strength is the only silver in the world with long-lasting silver ion production, that enables rapid, complete kill of all pathogens. ACS 200 is the leading silver preparation in the world with over 19 patents and stringent independent testing confirms that the ACS200 is 1,000's-1,000,000's of times more effective than the other 2 leading brands of silver in the USA. The patented production process creates silver ions that remain stable and are able to regenerate themselves. Silver has long been recognized in recorded history as having germicidal properties. In 69 B.C. silver nitrate was described in the contemporary pharmacopoeia. In ancient Greece, Rome, Phoenecia and Macedonia, silver was used extensively to manage many immune challenges. From the time man first learned to work with silver, he has known that it delayed the spoilage of foods and that it reduced the symptoms of illness. Hippocrates, the “Father of Medicine,” used silver and instructed that it promoted tissue repair and was a notable topical aid. In the days before refrigeration, farmers tossed a silver coin in a bucket of milk to preserve it. Chemists put silver dimes in Petri dishes to sterilize them. For many years it had been common practice to place silver wires and threads around infected wounds that refused to heal. The situation in the EU is that colloidal Silver is no longer able to be sold for internal use and as such it is sold and labelled only for external use and for water sanitization. What are the differences between ACS 200 and other colloidal silvers? Advanced Cellular Silver 200 goes far beyond other colloidal silver as an antimicrobial. Independent studies prove to ACS 200 Extra Strength to be many, many times more effective in killing pathogens than Argentin, SilverMax, or any other brand of colloidal silver. 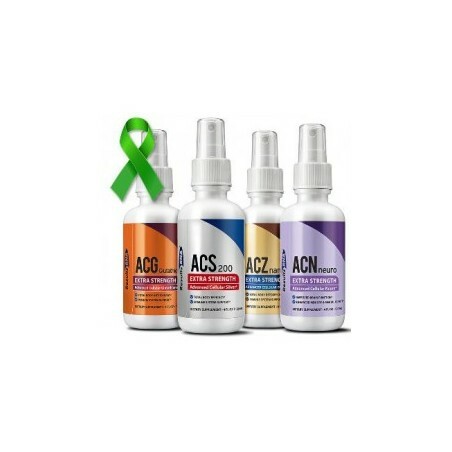 ACS 200 Extra Strength is antiviral, bactericidal, antifungal and anti-parasitic, killing Methicillin-resistant Staphylococcus aureus (MRSA), Candida and Rhinovirus at 99.99999% in less than 3 minutes in-vitro. Competing colloidal silvers have very low antimicrobial effect compared to ACS 200 Extra Strength. How do you determine the efficacy of ACS 200 Extra Strength? The killing effect of any antimicrobial can only be determined by kill time studies. All kill time studies using ACS 200 Extra Strength have been performed using The Scientific Association Dedicated to Excellence in Analytical Methods (AOAC) standards at some of the top independent microbiological laboratories in the world. Results RNA® has sponsored over 500 kill time studies in the last 10 years alone. 200 Parts Per Million (PPM) 99.99% pure silver colloid hydrosol. What silver particle sizes are provided in ACS 200 Extra Strength? ACS 200 Extra Strength contains a very safe size range of pathogen-lethal silver particles - from 0.4 microns down to nanometer. This range of sizes acts as broad arsenal in the pathogen attack. In what sizes is ACS 200 Extra Strength currently offered? 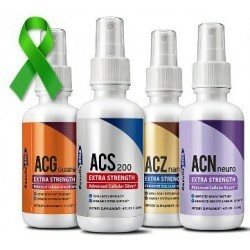 ACS 200 Extra Strength is currently offered in either 2 fl. oz (60ml) or 4 fl. 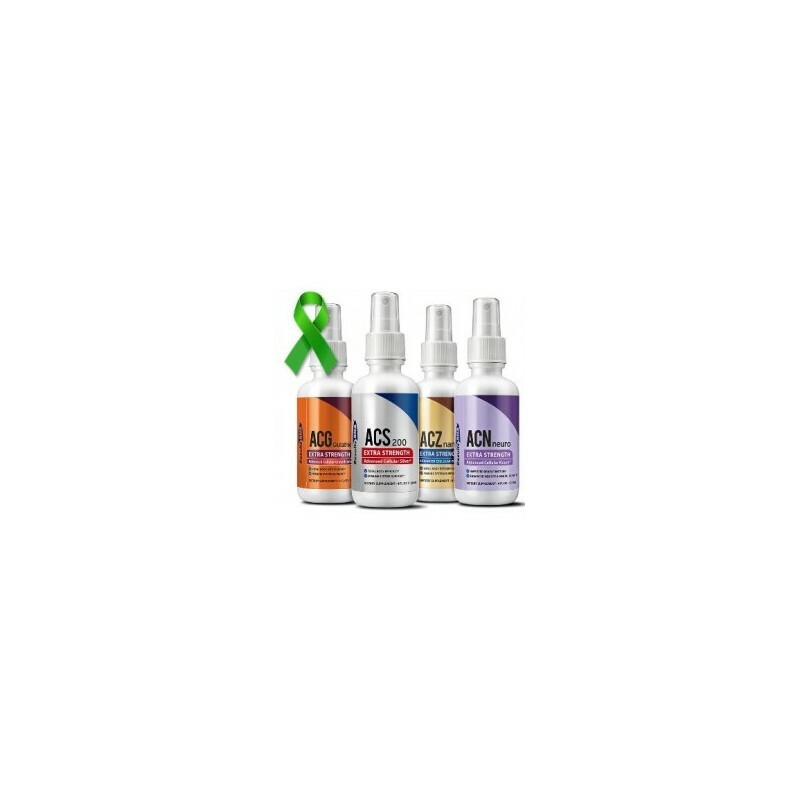 oz (120ml) spray bottles. Is ACS 200 Extra Strength patented? Yes. The silver technology of ACS 200 Extra Strength is backed by over 14 patents to date. Will weather elements affect the product (like heat or cold) during delivery or if the product sits at home or outside a Dr's Office? The only way the product would be affected is if it is cold enough to freeze the product (splitting the bottle) or hot enough to melt the bottle. What is the shelf life of the Results RNA® formulas? It has an indefinite shelf life. Do your formulas react to the plastic bottles? The reason we use the very high grade, High Density Polyethylene (HDPE) plastic is because of what you have already observed; both the ACS 200 Extra Strength PPM silver and the ACZ nano Extra Strength zeolite products are very active, to put it mildly. HDPE plastic is used for many packaging applications because it has excellent moisture barrier properties as well being lightweight and flexible. HDPE plastic has good resistance to chemicals, which is why it is commonly used to package many household and industrial cleaning products including detergents, bleaches, and even acids. HDPE is extremely resilient in this regard, (much more so than PET or other types of plastics, including glass) and therefore does not leech contaminants into the product. Replacing the original formula, ACS 200® Extra Strength has greatly improved killing power without compromising safety. ACS 200® Extra Strength achieves 99.9999% (complete) kill against Borrelia burgdorferi, Candida albicans and MRSA as proven via independently derived in vitro, kill time studies. Powered by the same patented silver technology as STERIPLEX® Ultra, now EPA-approved to kill anthrax spores. ACS 200® Extra Strength has been proven extremely safe for the skin. The leading silver-based supplement in multiple independent studies, ACS 200® Extra Strength rapidly kills an enormous array of pathogenic microorganisms; literally oxidizing the cell wall of Gram-positive and Gram-negative bacteria, as well as killing naked virus, fungi - all without damaging human tissue (for external use and water sanitisation in the EU). Far beyond ‘colloidal silvers’ in terms of performance, ACS 200® Extra Strength provides 200 parts per million of uniquely energized silver molecules, which are suspended in “wetter water”®; a proprietary micronutrient transport medium that is 43% lower in surface tension. Can be used on any surface as a disinfectant and can be used to sanitise drinking water. ACS 200 ® Extra Strength contains no preservatives • no alcohol • no artificial coloring or flavouring.